Karen is an international, award-winning artist, recognized for her outstanding artistry and contributions to the tap world. She is known for being both the first African-American female tap dancer and dance captain in Riverdance – The Show and the only African-American female tap dancer and dance captain in Riverdance on Broadway. Other Broadway credits include the Tony Award Nominated Duke Ellington musical Play On. Karen has been featured on the cover of Flow Magazine and in the documentary, Been Rich All my Life. The story of the Silver Belles, a group of chorus girls from the 1920s. 1930s and 1940s. Ms. Callaway Williams has performed with the original Silver Belles at the Cotton Club and the Apollo Theatre; and for the likes of Bill Clinton, Paul Newman and Joanne Woodward. She is currently a Second-Generation Silver Belle and the Artistic Director of this group. Karen has toured extensively performing in 35 States and 13 countries having just returned from a two and a half month run of Hinton Battle’s American Variety Bang in Osaka, Japan. Ms. Karen Callaway Williams is a living legend in the tap dance world. She is mentioned several times in the Tap History book Tap Dancing America by Constance Valis Hill. She was featured in a Black History edition of ESSENCE Magazine, which highlighted four female African-American tap artists. In 2013, Karen was a Flo-Bert Honoree and received the Florence Mills Award. In July 2015 she was awarded the prestigious Hoofers Award from the American Tap Dance Foundation. Dance Magazine heralded her as “a graceful dream with taps as happy as a song.” The New York Times called her “a gifted traditionalist with laughing eyes”. She was also appeared in the documentary Bojangles: the Legacy and in a special guest spot on Sesame Street. Karen is a Featured Artist and was the first Dance Captain and charter member of the New Jersey Tap Ensemble having recently celebrated 24 years with the company, performing in their high energy shows A Stop on the A-Train, The Next Step, Rhythm is our Business, By George It’s Gershwin and Pass it on. Ms. Callaway Williams taps can be heard tapping on Duke Ellington’s Music From The Sacred Concerts: as performed by the Princeton University Concert Jazz Ensemble as the Tap Dancer in “David Danced Before the Lord”, a role rarely performed by a female dancer. She has been featured as a tap solo artist with both the Baltimore and New Jersey Symphony Orchestras on several occasions; performing movements from the iconic Morton Gould’s Tap Dance Concerto. She was also featured with the Detroit and Indianapolis Symphony Orchestras for their Yuletide Celebrations, and the BSO Holiday Spectacular. She has been a guest performing artist with the Cincinnati Pops Orchestra and the Toronto Symphony Orchestra. Ms. Callaway Williams has toured all over the world: Performing with the Duke Ellington Big Band in The United Arab Emirates; in Romania with Tap City on Tourthrough the Unites States Embassy; in the All that Tap Taipei festival in Taiwan; in Canada with Tap Giants; and in Bejing, Mexico, and Canada with Riverdance. Over the past 30 years Ms. Callaway Williams has established herself nationally, and internationally, as a prominent tap instructor. 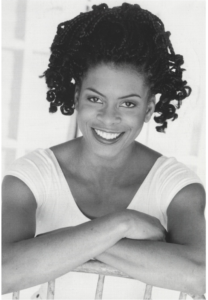 She has taught for Spelman College, The Alvin Ailey American Dance Center, the Professional Performing Arts School in Manhattan, New York City Dance Alliance, national and international tap festivals, dance camps, master classes and enrichment programs. She gives lecturer/demonstrations and educational assembly programs in elementary, middle and high schools for the Paper Mill Playhouse on “Legends of Tap Dance”. She traveled regularly to Zurich Switzerland as an instructor for the Zurich Tap Festival. Karen has also authored several children’s books introduce kids to tap dancing, including Gabriella’s Tap Shoes, Gabriella and the Tap Dance Floor, and Rhythms for Ruby. She is currently working on her forth book for children, Gabriella: The Girl Who Lost her Shuffle. Her books are available on Amazon and in The Dance Connection office.